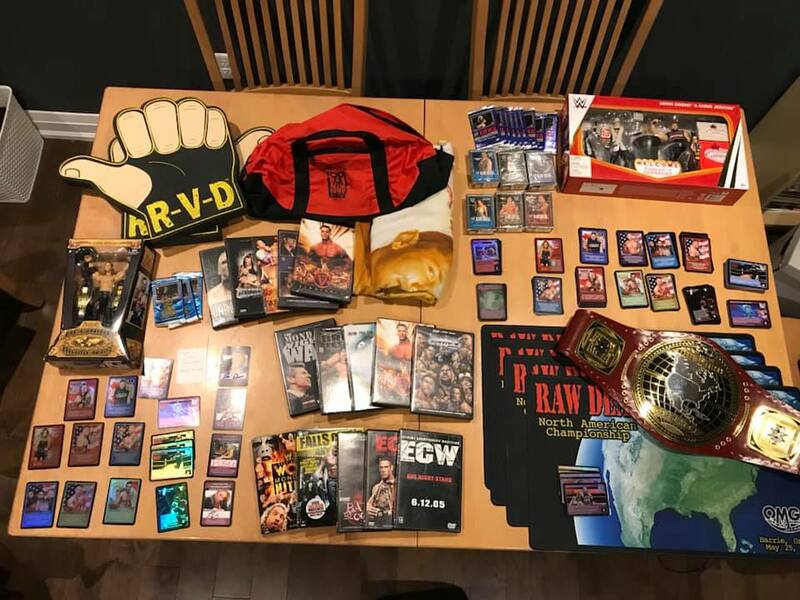 Additional prizing includes sealed Raw Deal product, Johnny Gargano, Kevin Owens & Rusev Backstage signatures and more. Raffles and a 50/50 draw for a Canadian Cancer Society/Relay for Life donation. Stay tuned, more details to come. I hope that this upcoming year, the field for the tournament is a bit larger than expected. There has been a bit of a resurgence in the game it seems. Cards are being sold at good numbers and posts on social media have increased as well. Updated with some prizing information. Be sure to stay updated with the Facebook event page. Just added is a Johnny Gargano Backstage Autograph Session. Keeps your eyes on the Facebook event post today. We’re three months away from the big event and I’ll be announcing several prizes to be won. No, but what I’ll do if put up a prize of a custom Personalized set pro printed after the event. I’ll make the prize winner in the game! Anyone who wishes to preregister for $35 Canadian for this will receive an exclusive foil alternate art Raw Deal Revolution at the event. Message me here, Discord or Facebook for details. Here's the current prizing line up for the event. Have you been following the prizing announcements? If not, here’s what you can expect to see on May 25th. Everyone coming will get a playset of Ready to Fight, Premiere Smackdown Superstar, 10th Year Anniversary, Full Art Don’t be a Douchebag and a handful of EXCLUSIVE Superstar cards. Prizing table will included everything pictured on the left side of the table. Prizing will be picked out after the Swiss rounds in order of first to last place before the single elimination rounds. There are currently 37 prizes to choose from. 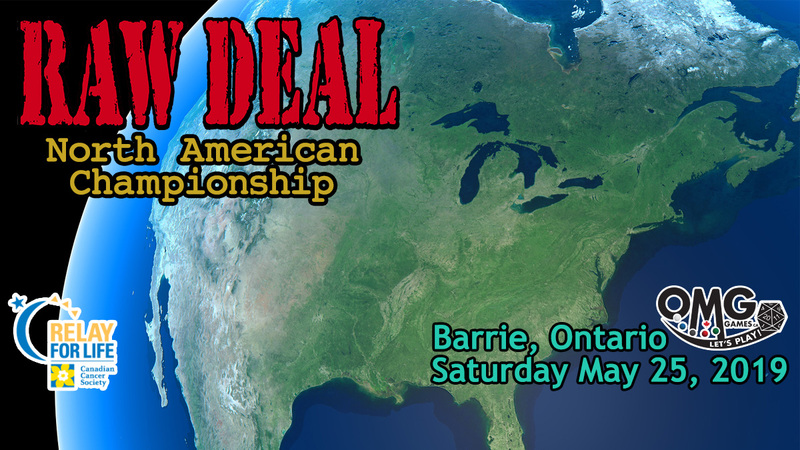 Come out to Barrie, Ontario and play some Virtual Classic Raw Deal. Prove you are the best in North America and walk away with some awesome prizing.